is a family owned and operated business covering the south since its beginning in 1976. We offer the finest quality at the most reasonable prices. 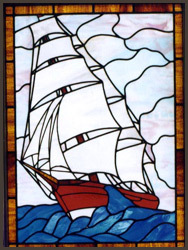 Southern Stained Glass of Birmingham, AL is a full-service studio offering custom designed artwork, fabrication, installation, custom frames and protective glazing. Using traditional, time-honored methods to produce stained glass, Southern Stained Glass brings over 35 years of quality craftsmanship to your worship space. Whether you’d like to replicate an existing design or create something entirely new our experienced craftsmen are ready to design the masterpiece you envision. Southern Stained Glass of Birmingham, AL has over 35 years experience in the restoration of stained glass windows. 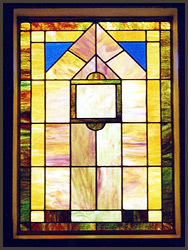 Our stained glass system not only protects your stained glass windows from vandalism and polution. It also protects interior finishes and fabrics from harmful UV radiation. The resulting system is a nearly invisible, protective covering, which compliments the original window design. Clear protective coverings is virtually unbreakable poly carbonate with warranties up to 15 years and U.V. coatings available. Tempered glass is also available for certain installations. 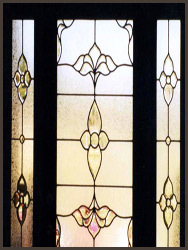 Leaded glass for the home – transform your home into a place of beauty.